McDonalds or KFC: Should I Run Vegetable Oil in my Diesel? Ever drive down the road in the middle of nowhere and run across the scent of French fries? Maybe it made you think some punk threw his garbage from his car into the ditch and the wind was just right to catch a whiff as you drove by. Or, could it be that old diesel truck up ahead chugging down the road, running on the waste oil its driver collected from the local restaurants in the small town you just passed through? Either way, the scent of fry oil can catch one’s nose just right and make any person hungry. Should I consider vegetable oil in my diesel? I had a friend about 15 years ago who started down this path. The concept of treating a waste product and burning it in his truck was like music to his ears. He was a thrifty person at the time, so you can see how “free” fuel could be enticing. I admit, back then finding a way around paying pump prices sure got my attention as my friend explained that he’d spend only about $0.40/gallon for vegetable oil. Here are a few tips before you consider hitting up Google for additional information about making the switch. This vegetable oil business is, in short, a chemistry project. First, you have to secure a supply. Lots of restaurants have deep-fat fryers. Whether they will give you their used oil or not is a different story. Some smaller places will gratefully let you have it. The bigger joints, probably not so much. Now, do the math so you know how much you’ll need. Most people burn about 1,000 gallons of fuel a year. That’s eighteen 55-gallon drums you have to secure and process each year. This is no small task. Let’s presume supply is not an issue. But, you can’t just take the oil and dump it into your truck. 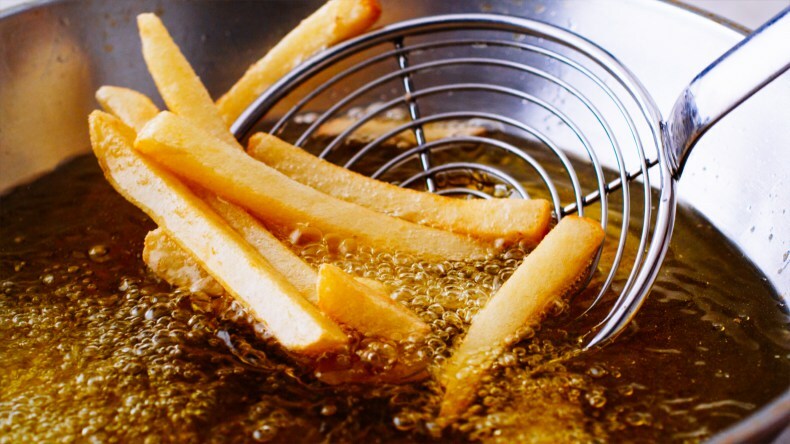 You need to filter it multiple times to ensure you remove all those residual deep-fried particles from the oil. 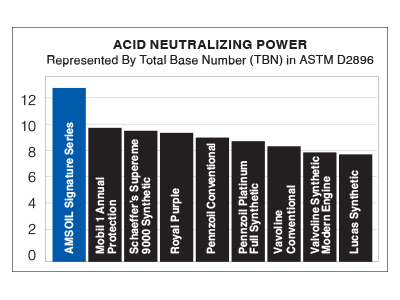 That stuff will wreak havoc on your fuel system. Here come the chemicals. Most engines today aren’t like the old 6.2L and 6.5L GM engines the military uses that can burn almost anything you pour in the tank. So you need some chemicals. 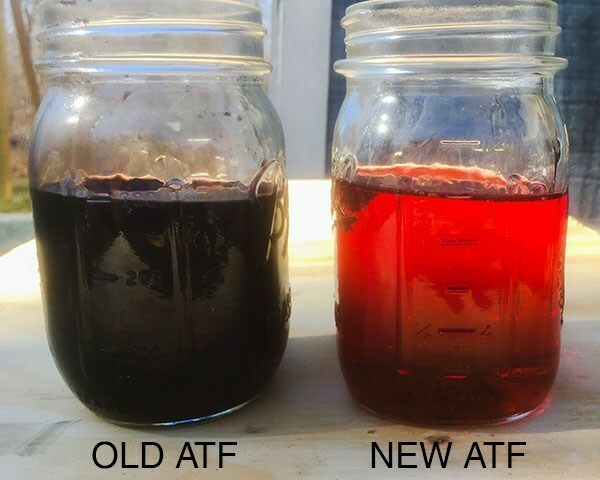 Based on their waste vegetable oil source and the application they are burning it in, some people add performance-enhancing additives to veggie oil to make the application a littler happier, such as corrosion inhibitors, water separators, viscosity modifiers and more. Where to get them, how much to use and when to mix them in are all part of the mad-scientist game. No two guys out there will have the same recipe for vegetable oil. They mix and match for many reasons. Do these guys know something the refineries don’t know? No dice. They are learning by the school of hard knocks. And, let my friend be an example for all. I promise you your first and second batch of fuel you try and make will not turn out. So, be prepared to have an outlet for waste oil you can’t burn in your truck. Are you a law-abiding citizen? Again for the exercise, let’s presume you know chemistry and can make this experiment work. Yeah, I know there are dedicated souls out there who love this game, but it’s not for the lazy. Now you have some drums of fuel in your garage, you dump some fuel in your truck and away you go. It’s that simple. Or, at least until you are driving down the road in front of a hungry highway patrol officer. When he pulls you over and asks why your truck smells like a mobile fryer, you had better have a quick and snappy response. Every time the rest of us hit the local fuel station, we pay state tax on every gallon of fuel to help pay for roads and such. That veggie concoction you are burning contributed no fuel taxes and that officer just may have a problem with that. Though it’s not as easy as dipping your tank like when guys are caught burning off-road diesel in their on-road trucks, the same principle applies – no paid tax equals big fines. Only you know the area you drive and whether this would be an issue, but every mile you put on is taking a chance that one day you will get caught. You can accuse me of a lot of things, but you can’t accuse me of telling you how to run your life. Maybe just your truck. If you love the idea of “saving the world” by burning waste vegetable oil, then you have to do what you have to do. Just remember that all actions have reactions, and you may not like the recourse. I agree; although I’m not a huge fan of pulling up to the green handle at the pump and pouring in fuel whose origins may be suspect, it’s just plain easy. Slide in the credit card, pull the handle and – bam – within about two minutes I have a full tank of fuel that puts me back on the road to the more important things in life. Plus, no worries about whether Mr. Officer is gonna chase me down like Pepe Le Pew chasing Penelope Pussycat in Looney Tunes. Do you want to know what happened to my buddy? He spent countless hours researching and playing chemist. He made more than 150 gallons of fuel and then got too scared to put it in his truck for fear he’d blow up the engine. So he paid to get rid of the oil he made. That was a great investment (dripping with sarcasm). For the health of yourself, your family and your truck, just stick to the fuel you buy at the local station. If you are looking for ways to save money, take a little weight out of your right foot. Nahhhh, that’s no fun. I suggest looking elsewhere.